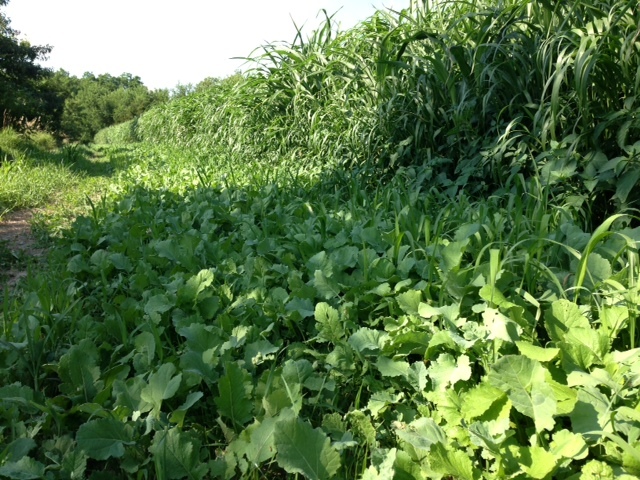 Green Screen® Food Plot Screen mix is an annual seed mix that has the potential of growing up to 14 feet tall. The genetics of the newer varieties of seed in this mix are substantially better than Egyptian Wheat with better standability into the winter months. 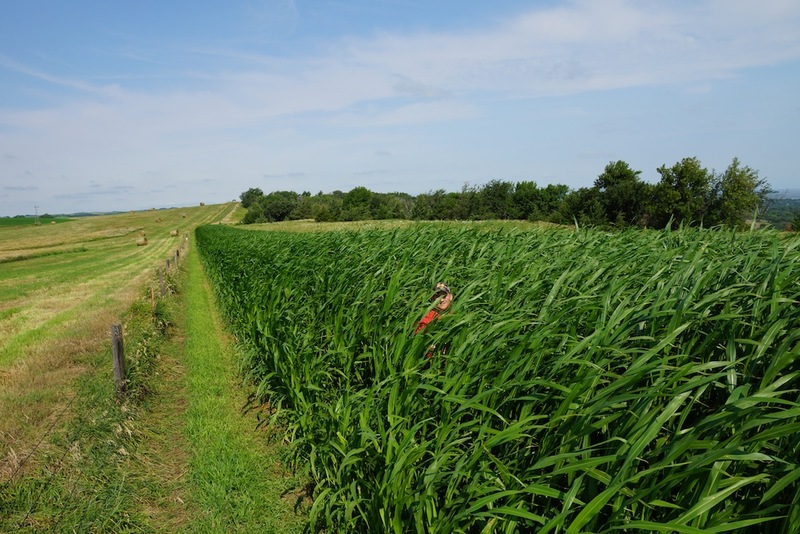 There are many ways to utilize this very tall, very thick, food plot screen. 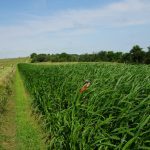 Green Screen® is a food plot screen that can be planted to use as a visual barrier along roads, access paths to stands, or around tripod stands. 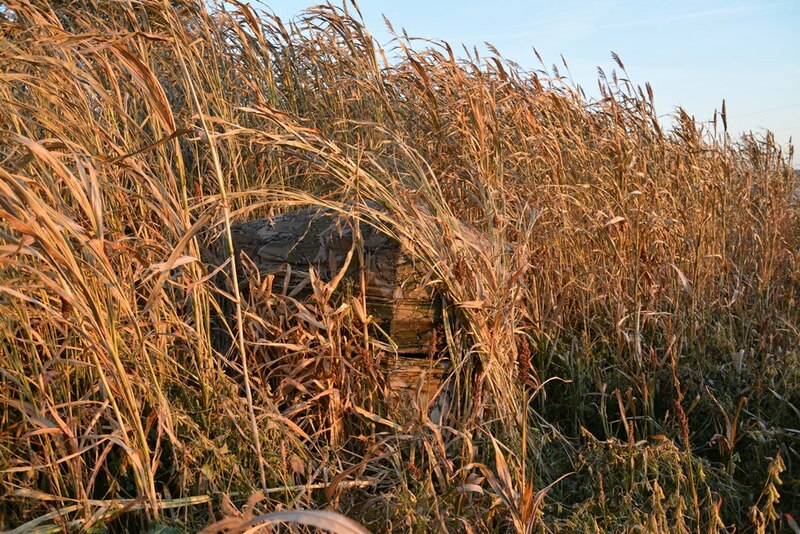 You can also nestle a ground blind into it, making the blind virtually disappear. Having a “Green Screen®” will help you get into the stand undetected. 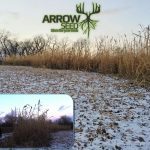 Green Screen® can also be used to create funnels to direct deer to a certain area such as a food plot. 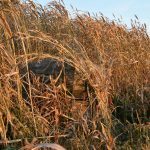 With some planning, you can plant in areas that you may want to place a ground blind later in the season. 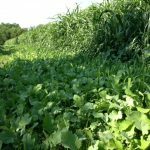 You may even want to plant Green Screen® around the perimeter of a food plot to make the herd feel secure while feeding. Green Screen® standing well into the winter! Do NOT over plant green screen as planting more than the recommended rate will hinder the standability during the winter months. For best results apply 25 pounds of Nitrogen at planting and then a 2nd application of 25 pounds of Nitrogen 30-45 days after germination. Note that the 2nd application is only required if adequate moisture is available. If dry conditions are present do not apply second application. Planting date: June 1st or when soil temps are a minimum of 60 degrees. Planting rate: 10 lbs per acre planted in 30” rows. How does this stand up in snow and Wind? 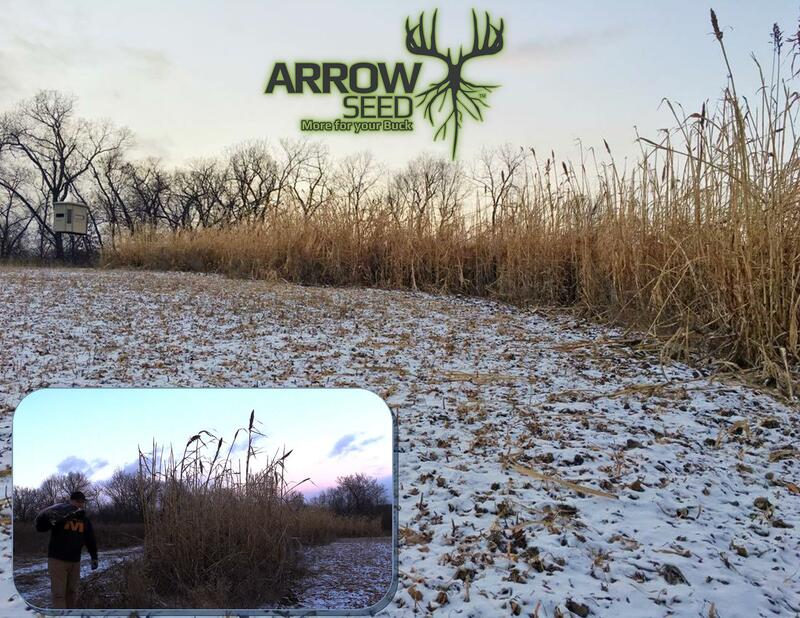 When planted at the recommended seeding rate of 8-10 lbs/Acre Green Screen will stand up to snow and wind just fine. First I want to say I was very satisfied with this product. I’ve tried Egyptian wheat and switch grass and this stuff puts them to shame. Planted in sandy soil. The only negative issue was, it broke in half at the end of the season, after it died and turned gold. It still served a purpose but the height was cut in half. Not sure but thinking it was wind. It wasn’t snow. So I would like to plant a strip of green screen at the top of a creek that is next to a field. The deer are feeding out in the field and I need a barrier between me and them. The only problem is the soil has spots that are sandy and rocky. How can I improve the soil for planting? Or is there anything else I can do to help out my problem? Thanks! What does this blend consist of? do you have to plant it in rows or can you broadcast it? 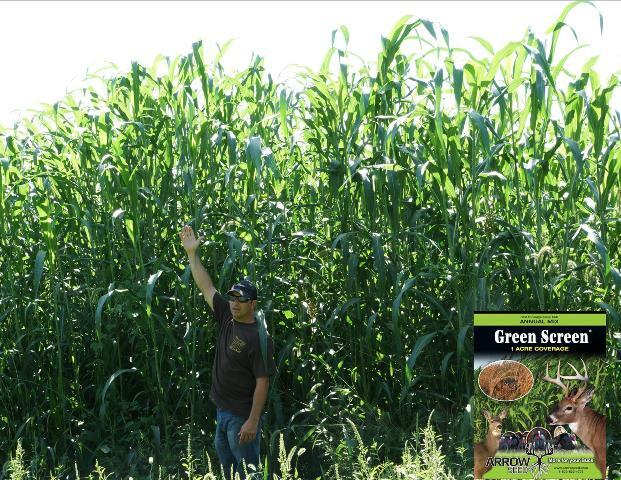 Green Screen consists of 3 varieties of sorghum that have been selected for good standability as well as varied height characteristics. If broadcasting, incorporating the seed into the soil is going to be key in getting a good stand. Do not plant Green Screen heavier than the recommended rate of 10 LBS/Acre. Can green screen be drilled? If planted with row planter do you use bean, corn plates or neither? Green Screen can be drilled but will need a smaller plate than a corn or bean plate. The key to getting a good stand of Green Screen is to not plant too heavy. If possible use a low rate sorghum plate/cup. Can Green Screen be planted in wooded areas where it’s more shaded? Because Green Screen is a mix of warm season plants, it requires full sun to be most effective. 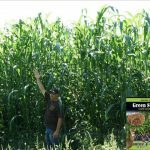 What soil PH is best for Green Screen? The optimal PH for Green Screen is between 6 and 6.5.